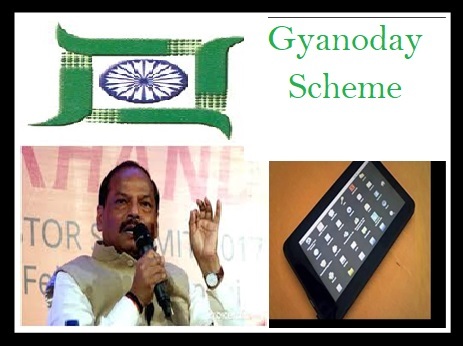 The Jharkhand state government has announced a new scheme termed as Gyanodaya scheme. Under the new scheme the state government will be distributing free Gifts – Tablet PC – for various school teachers with in the state. The state government has made a selection of different state schools from amongst which the teachers will be selected. With the distribution of free tablet PC to the teachers it is certain that the state government wants to provide with facilities for teachers where they can be able to access internet services for collecting teaching materials. It is also obvious that as the teachers will be having access to internet and table PC so they can carry digital form of their notes such that they may not have to carry any books along with them. The process of monitoring the student performance can also be easily achieved by the teachers over the tablet PC in real time. Under the new scheme it is certain that the state government aims at improving the conditions and quality of teaching standard offered to the students. As the teacher can be connected to the student online so it is certain that this scheme will prove helpful for both students and teacher interaction. With the implementation of the new scheme the state government aims at digitizing the state’s education sector in various schools. Under the new scheme the government of the state is also aiming at monitoring other activities including student drop out number, teacher absenteeism, and infrastructure and quality education within school premises without disturbing the normal functioning of the schools. The surveillance team also aims at monitoring mid day meal programs and other school related issues via tablet PC’s in the schools. The management of the school and education department can also conduct teacher training programs online for teachers. The new scheme will also help in improving learning system via organizing e-Learning programs. Under the new scheme it is certain that the benefit will be provided for selected teachers from government owned schools across the state. To be eligible for the scheme the teacher has to be employed with one of the selected state school and resident of Jharkhand state. The tablet PC offered will be hand held device such that teachers can carry it with them in class. The Tablet PC will be provided with internet connection facility and other applications that teachers can use for offering e-Learning programs for students. The teachers will also be provided with apps that can be used for maintaining students records including performance and class presence. It is certain that the CM and his cabinet of ministers have already announced a set budget of Rs 63 crore that shall be used for effective implementation of the scheme. The benefit will be provided for teachers selected from over 40,000 state owned schools across Jharkhand. Jharkhand government has been trying to modernize the educational sector. Jharkhand CM has started the Gyanodaya Scheme from March 2018. This scheme offers HP tablets to selected group of teachers in state-run educational institutes. The state aims to distributing 41,000 tablets. Teachers will be able to take care of their administrative tasks with these gadgets. In March, state government had organized training centers for master trainers. These individuals will then teach school teachers. The e-Vidya Vahini was also launched by the CM along with this scheme. These two projects will work in unison to offer pertinent information to the respective departments about teacher attendance, midday meal in schools, and other educational projects.